Recently on the campus of a northern California university the former leader of the American occupation in Iraq, Paul Bremer, highlighted what he called the successes of the American reconstruction efforts in Iraq. As expected many students criticized his policies. Only seven students were allowed to speak. Among the attendees was a Zinda Magazine reader whom at the end of Mr. Bremer's speech jumped out of her chair and posed the following question: ""Mr. Bremer, as you know, the ChaldoAssyrians of Iraq are the least known of all major ethnicities in Iraq. This Christian minority, just like the Kurds, suffered major atrocities under Saddam's regime. Your coalition authority failed to recognize the aggravating condition of over one million Christian Iraqis, the indigenous people of Iraq. Can you comment on the likelihood of the Christian population of Iraq having full political and cultural rights as other citizens in the future and permanent Constitution of Iraq?" Last night I asked a similar question from a tired-looking Ibrahim Jafari, the prime minister of Iraq, as I managed to push myself through his bodyguards at a reception held in his honor in Washington D.C. He simply smiled and walked toward the exit door. Mr. Bremer, on the other hand, had no choice but to answer this question. Several hundred students and faculty members were looking at him directly from their seats of power in a large university lecture hall. His initial comment: "Who?" The Zinda reader loudly and very clearly answered: "The ChaldoAssyrians!" Bremer shook his head in agreement and replied: "The Assyrians and Chaldeans, which you know consider themselves to be separate groups, with the Chaldeans being over 80% of Iraq's Christian population....well, I have worked with both the Assyrians and Chaldeans and I have placed Christians in government positions..."
Bremer then quickly makes reference to the attacks on Christian churches and shops. He goes on to say that if Iraq adheres to its constitutional principles of religious freedom, the Christians undoubtedly will have their rights protected. The Christians will have their rights protected? Did we miss something between the departure of Paul Bremer and the appointment of two U.S. officials as ambassadors to Iraq, first John Negroponte and now Zalmay Khalilzad? More than ever, in 10 words or less, Barazani detests a strong and united Chaldean-Assyrian front in Iraq! In effect, the prominence of a non-Kurdish group in north Iraq, a Christian one in particular, may diminish the reputed love affair between the U.S. State Department and the Kurdish leadership, and elevate the Assyrian status equal to that of Arabs and Kurds. The push for a segregated Assyrian populatio,n based on its religious denominations, will prevent the rise of a formidable force demanding the same political rights as the Kurds have in the last four decades. To implement this policy, Barazani's loyal Assyrian followers have been selected in several kep positions. There are four Kurdish gofers, Chaldean-Assyrian by nationality, in the Kurdish parliament. All four have won their seats by including their names on the Kurdish list of the candidates. Soon after their election, they began a series of unsubstantiated attacks on the Assyrian candidates who had won their positions through genuine voting process, specifically cast for their Chaldean-Assyrian titles. In one such instance, a Jacklin Zomaya asked Mr. Jafari to remove Mr. Yonadam Kanna and replace him with Dr. Hikmat Hakim, on the grounds that Mr. Kanna does not represent the "ChaldoAssyrians of Iraq". Dr. Hakim is the soft-leaded pencil that connects these small but significant dots. Hakim is a law professor whose expertise was sought for the writing of the Iraqi constitution during Bremer's reign in Iraq. He ran for a seat in the Iraqi National Assembly but lost. Ms. Zomaya's Kurdish-backed recommendation in having Mr. Kanna replaced with Dr. Hakim was swiftly rejected by Mr. Jafari who is well aware of Dr. Hakim's communist past and his proximity to Barazani in the north. Another Kurdish gofer in the parliament would have tilted the Kurdish-Shi'ai scale in favor of Barazani. On Wednesday Zinda Magazine released an article describing the meeting of the Chaldean and Assyrian patriarchs in Chicago and their agreement that the pariosheners of their two churches are of one nation and therefore are one people. Dr. Hakim is a strong proponent of a Chaldean-only front in Iraq and has met with Mar Emmanuel Delly in Baghdad to obtain His Beatitude's blessings. He believes that a segregated but equal position for "Iraqi Christians" is a more viable option. As soon as the release of Zinda's article Dr. Hakim began pressing his case for a segregated representation in the permanent Iraqi constitution - sweet music to Barazani's ears. Clearly, the future of the Assyrian people must not be left in the hands of the law professors, American diplomats, and Kurdish warlords who continually infuse erroneous semantics to influence mass opinion. Dr. Hakim is as much an Assyrian as he is Chaldean, as is His Beatitude Mar Emmanuel Delly, the four parliamentary Kurdish puppets, and most other Christian officials in Iraq today. Adoption of a unifying single name for all Syriac-speaking groups in Iraq remains an option. What is not is the unconditional representation of the Chaldean-Assyrian people as one nationality in the Iraqi constitution and in all other political fronts. Individuals like Jacklin Zomaya and Dr. Hikmat Hakim must speak for themselves, for their own people, and become the forerunners of a great awakening needed before the completion of the drafting of the permanent constitution in Iraq – that the Syriac-speaking people of Iraq cannot expect to exercise great political influence while segregated into several ethnicities and recognized as Christians only. Considering the cultural and political future of our nation, our national identity takes precedence over any religious or sectarian attribute that divides us so sharply. After hearing Bremer's response, reading Hakim's comments, and consulting with my political colleagues this week I'm beginning to better understand and appreciate the honesty in Mr. Jafari's grin last night. Malfono Gabriel Afram has always been a myth who I have heard innumerable stories about. He was a strong and dynamic leader of the Assyrian movement during the 1970´s in Sweden and played a central role in creating the Assyrian Association of Sodertalje, Assyrian National Federation in Sweden and Hujada Magazine. After that he stepped back from the political arena. However, his voice continued to echo among the Assyrian people through the radio program Qolo (voice in western Assyrian), which airs nationwide in Sweden and also worldwide through the Internet. In parallel with his profession as journalist at the Swedish Radio, he has been working on his biggest project ever the last 15 years. That is, the production of a Swedish-Assyrian dictionary with the aim to secure the survival of the Assyrian language. I am standing outside the reception room of the Swedish Radio building, which is the public service radio broadcaster in Sweden and employs 2500 people. One of them is the Assyrian journalist Gabriel Afram, born in the village of Enhil in Turabdin (southeast Turkey) and brought up at the Monastery of Zafaran, where he studied the Assyrian language until he was 14. "I do not fit in the political game, because there are many intrigues that do not fit my nature. I want to be clear, open and honest with the people I work with, and I want them to know where I stand. I believe that people are more satisfied with those kinds of people, who do not hide behind big words. The picture that the people have about me is based on my honest standpoint towards them." Malfono Gabriel has stayed out of the Assyrian politics for the latest twenty years. Instead he has put his energy on the radio program Qolo at the Swedish Radio. With a beautiful voice and classic Western Assyrian dialect he reaches Assyrian radio listeners not only in Sweden but also all over the world through the Internet consignments. It almost sounds divine when he reads the news as though a part of him were still in the monastery of Zafaran. "It's happened before when people who only heard about me were surprised when they saw me. Like yourself they expected someone more grey and grizzled. " "We live in a time when there are not enough textbooks and teaching aids for the Assyrian language. Today’s youth are well integrated in the Swedish society and are versed in Swedish; therefore, they have big possibilities to learn the Assyrian language with the help of the dictionary." The dictionary project has been a success and Malfono Gabriel has given interviews in both the national Swedish television and radio programs. The Swedish school minister, the Assyrian Ibrahim Baylan, inaugurated the debut ceremony of the Dictionary at the Assyrian Association of Sodertalje. I was one of 600 Assyrians who came to honor Malfono Gabriel Afram and witness this historical moment. "It was a wonderful feeling. I did not expect so many people to come, especially not so many young Assyrians. It was a wonderful feeling to see the youth clutch their copies of the Dictionary while they waited for me to sign them." "I feel persecuted by this language. Where ever I am and what ever I do, I constantly invent new words and phrases. The day after the dictionary was printed I invented another synonym for the word 'throw-in', sunworo." Have you also thought about producing an Assyrian-Swedish dictionary? "I feel great love for the Assyrian language but everything depends on how much time I can put into this project. For me the immediate need has been the youth and therefore I have focused on a Swedish-Assyrian dictionary in the first place." Now that you have done the hard work it seems like it would be easier to produce an English-Assyrian dictionary? Have you ever thought of using a language term other than Assyrian for your dictionary? "I have never thought about using another term, although I am very conscious about the name conflict among our people. This term has come from my strong conviction. I know that our language is called Syriac at universities and other institutions in the Western world. What I want to say is that if we can call our language Syriac then we can also call it Assyrian, because it is known in the world that the term Syriac is developed from Assyrian. If it is wrong to call the language Assyrian, then it is also wrong to call it Syriac." In r egard to the lack of knowledge in reading and writing in Assyrian among our people, do you not see the danger in buying the dictionary only for the sake of the prestige? 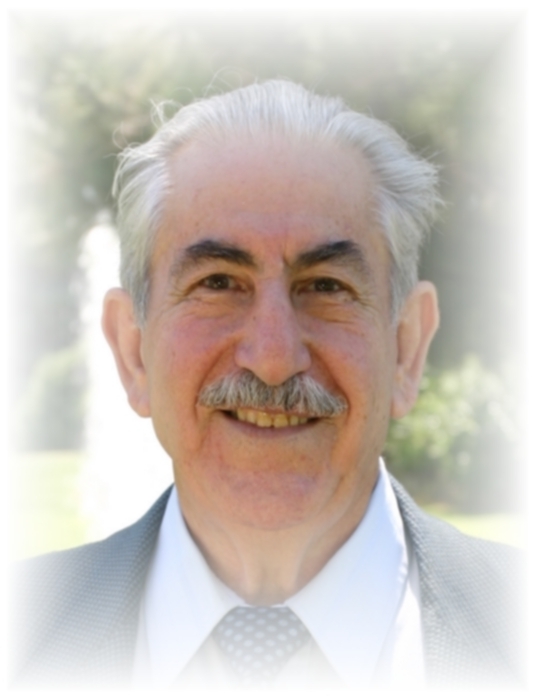 "When we printed Mor Touma Audo’s Assyrian dictionary in 1979 we sold many copies. It might be possible that it reached people who had a greater love for the Assyrian language than myself. However, I think that I made the biggest profit out of it, in the sense that it became my teaching master. It has not left my hands since the day we printed it. I do not believe that we can force the language on those who do not want to learn. It is always up to the one who is interested in learning the language to seek the dictionary. (Takes a short break before he continues) I have taken a big step and filled a big need, and often we see that success breeds success. My hope is that we will see a positive chain reaction that will lead to the further development of the Assyrian language." "I felt and I am feeling especially proud because it was the Assyrian Youth Federation that gave me this distinction. It was they I had in my mind when I first began working on my dictionary. I could never have expected a better appreciation." Aside from the honors he has also received 10,000 Swedish crowns (1400 dollars), which he chose to give to the Assyrian premier league soccer team in Sweden, Assyriska FF. "We often say that our identity runs the risk of dissolution in the Diaspora and of course there is such a risk. However, since we could not prevent the course of action that caused the emigration of the Assyrian people, we need to search for new solutions for our people. We should not just see the Diaspora as something negative. Here we have rights and are able to give the new generation the possibility to educate themselves. In Turkey, Syria, and Iraq our rights are limited and we are exposed to these countries' fascistic policies. In some ways the emigration to the Diaspora saved our culture from dying." According to a research on ethnicity it takes only three generations for an ethnic group to assimilate in a new country. What do you think about that? "If we take the Jewish people as an example they have survived in Europe for almost two thousand years. I see many similarities between the Assyrians and the Jews. As an ethnic group we have a good chance to develop ourselves. First, we have at least as rich culture as them. Second, the Jews have been exposed to a genocide in Germany and were persecuted in Russia. Thank God, this is something that we have been able to avoid in the Diaspora, however not in our homelands. Third, the world is getting smaller and the national borders are being erased. Today, we can see ourselves as world citizens, thanks to the high technology that brings all corners of the earth closer together. Our radio consignments through the Internet and Suroyo TV are examples of how we can spread our language all around the world and create a feeling of an Assyrian identity." How are the prospects for the Assyrian radio program Qolo? "Qolo's aim is to continue, because we do not want it to die with us. For that we need fresh blood, and the technology of today gives me hope for Radio Qolo’s further development." "The profession of a journalist is very interesting, but many times in life you need to choose what you want to give priority to. When I was about your age I thought I was immortal and that I would live for ever. Now I have reached a certain age when I see the years go by. Nowadays I feel that I have to do something toward the aims I have before it is too late." Malfono Gabriel might be a myth with his voice as a trademark, but his legend lives on and his voice echoes stronger than ever before. With his Swedish-Assyrian Dictionary now available he has taken a big step toward the survival of the Assyrian language. Who knows? Like Mar Touma Audo whose dictionary inspired him to produce a Swedish-Assyrian dictionary, his Dictionary can breed a new language master who can further develop the Assyrian language. Zinda: Mr. Maraha is a member of the Assyrian magazine "Hujodo" in Sweden and a contributor to Zinda Magazine. His interview with Malfono Afram appears in Swedish in the recent issue of Hujodo and was translated to English to be reprinted in Zinda. 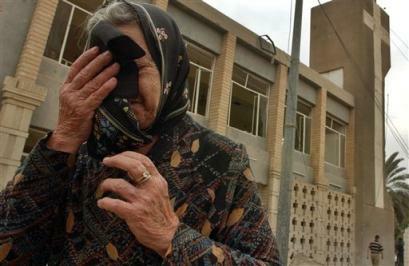 Hasaka, Syria - The murder of two Assyrians in Syria last Fall (AINA 10-31-2004) by a Syrian National Guard officer and the subsequent Syrian government inaction have highlighted a profound vulnerability of and discrimination towards the indigenous Christian community there. On the evening of October 16, 2004, Mr. Ibrahim Nasin Abdul-Ahad, an Assyrian (also known as Chaldeans and Syriacs) coffee shop owner left his shop in Hassake to visit his father-in-law in this historically Assyrian city in northeastern Syria. As he neared his father-in-law's home, Mr. Abdul-Ahad encountered his father-in-law's immediate neighbor, Mr. Raad Al Raadi, a Syrian from nearby Der-A-Zoor. On this particular evening, Mr. Al Raadi, accompanied by two of his brothers including Murad, a Lieutenant in the Syrian National Guard, confronted and threatened Mr. Abdul-Ahad. Fearing for his safety, Mr. Abdul-Ahad fled into his father-in-law's home. The Al Raadi brothers grew more agitated and violent. They approached the home and began to try to break in. Outnumbered, Mr. Abdul-Ahad telephoned his own brother to come to his assistance. As Mr. Abdul-Ahad's brother appeared, the three Al Raadi brothers attacked him. Hearing the commotion outside, Ibrahim Abdul-Ahad ventured out to aid his fallen brother only to be immediately shot twice by Mr. Al Raadi. As Mr. Abdul-Ahad fell, Al Raadi's brother Murad, the Syrian National Guard officer, drew his own Syrian National Guard issued handgun, walked over to the nearly lifeless body of Ibrahim Abdul-Ahad, placed the gun under his chin and coldly fired a single bullet, execution style, through Mr. Abdul-Ahad's brain. As Abdul-Ahad lay in a pool of blood, a now enraged Murad Al Raadi began shrieking and screaming while kicking the lifeless head and body of Mr. Abdul-Ahad, swearing obscenities to all "Christian dogs who deserve this fate." As a small crowd of terrified neighbors looked on and attempted to draw closer, Murad Al Raadi threatened that he would kill any "Christian dogs" that tried to help the "worthless infidel." In utter disbelief, Mr. Yelda Yacoub Youkhana, Mr. Abdul-Ahad's neighbor, ignored the threats in order to see if there remained a chance to save Mr. Abdul-Ahad. As Mr. Youkhana bent down to comfort his neighbor, Murad Al Raadi shot Mr. Youkhana in the back. The gathering crowd managed to extricate Mr. Youkhana's body and wisked him away to the hospital. Mr. Abdul-Ahad was already dead at the scene of the murder. For days, the Abdul-Ahad family's pleas for help from the State and police went unheeded as the Al Raadi brothers remained free. No investigation was launched and no arrests made. Assyrian Christian rage began to build and a committee of civic and religious leaders was established to address the government's abdication of its responsibility and to press for the upholding of law against the Al Raadi brothers. The committee included the Syriac Orthodox Bishop of Hassake, Mr. Bashir Saadi, the head of the Assyrian Democratic Organization (ADO), Mr. Zia Malik Ismail, a former Assyrian Member of Parliament, as well as others. The committee pressed the case for justice to the authorities as well as the Al Raadi tribal elders in an attempt to lodge murder charges from the government, as well as demand the forced exile of the murderer's family from Hassake, as is standard tribal justice. The Arab tribal elders saw no movement against the Al Raadi brothers from the government. Days passed and the brothers remained free. At times, they were seen lounging and smoking on their front porch, just steps away from the site of the cold-blooded shootings. The brothers taunted passers by and boasted about their deep tribal and government connections. As Assyrian anger became palpable, the Syrian National Guard provided round the clock security to protect the murderers against possible vigilante attacks under the pretense that a national guard officer is a symbol of the state and, as such, needs to be protected. Repeated efforts by the Assyrian committee of elders drew limited response. Eventually, the Arab tribal elders of the Al Raadis sensed that the government was not inclined to press for justice. The Arab tribal elders then began to pressure the Assyrian Christians into giving up their attempts to have the murderers imprisoned. The Arab Muslim leaders began to threaten an Islamic backlash if any action was taken against the murderers. On October 30 at noon, Mr. Yelda Youkhana, who had been transferred to a hospital in Damascus, died. As news spread to Hassake, the murderers sensed the growing wave of anger and finally fled their homes with their security entourage. Hundreds of Assyrian Christians from Hassake and the Khabur River villages gathered, angered at two weeks of inaction by the government. In a spontaneous fit of rage, the Assyrians burned down the Al Raadi house and three store fronts. At one point, the ranks of the protestors swelled to nearly 1,500 as they marched to the Governor's palace. Once there, four representatives addressed the Governor, but still no promise was made to provide justice to the murdered Assyrians. In the ensuing days, Assyrian Christian activists were subjected to increased pressure and threats from the Arab tribes as well as the Syrian government. The Arab tribes sent emissaries suggesting that Muslim sensibilities had been upset because a copy of the Koran was burnt in the Al Raadi house fire. An Assyrian activist responded with the obvious, that "no one purposely targeted a Koran hidden in a home and that the accusation was being fabricated in order to fuel a more general Muslim backlash against the already victimized Assyrian Christian community." Concurrently, Syrian government agents spread the word that the spontaneous uprising was supposedly incited and politically motivated by the ADO. Although Syrian intelligence knew the anger was a direct result of weeks of inaction and taunting by the murderers, the government hoped to capitalize on the burnings by creating a political pretext in order to raise fear of a general political crackdown on the ADO and the community. Eventually, up to 50 Assyrians (AINA, 11-03-2004) were rounded up beginning on November 1. Most were released early on, but 24 were held in custody until recently when only 16 remained (AINA, 11-22-2004). All were beaten as standard Syrian operating procedure. All were forced to sign confessions. Initially, they were denied legal representation. When an effort was made to hire attorneys, the families were admonished that a real legal defense against the State would likely invite further reprisals. Family visits were rarely if ever allowed. Formal charges were not filed and a court date was never assigned. Eventually, on April 27, 2005, after six months of detention and beatings, the remaining 16 were released (AINA, 04-28-2005) due to Syrian government insiders fearing an internationalization of the crisis. As one Assyrian analyst noted, "Different factions vied with each other over the future fate of the remaining 16, with security forces demanding to make an example of a restive minority and Syrian diplomats seeking to defuse another international embarrassment." The 16 still face civil court and, according to Syrian law, can still be called back into court for criminal charges. Moreover, the family of the murderers have stepped up threats and intimidation against the victims' families in an attempt to coerce the victims into not pressing for the murderers' trial and punishment. In the meantime, the murderers, including the Syrian National Guard officer, have been whisked away to an undisclosed location, ostensibly in prison awaiting trial. No trial date has been set. It is widely believed that the government is buying time in the hope that anger will wane and a more threatened Assyrian community will acquiesce with the release of the murderers. For Assyrian Christians, the crisis demonstrates an all too typical vulnerability and generalized limited access to justice of the Christian community in Syria in particular and the region as a whole. Despite having two Assyrians murdered in front of their homes before many witnesses, the community finds itself further threatened politically by the State and religiously by neighboring communities simply for objecting to its status as a perennial victim. The situation reflects a common predicament of Middle Eastern minorities in general, but more specifically of Christians regionally from the Sudan to Iran. Despite the brutal murders and State attempts at intimidation, many Assyrian observers remained defiant and steadfast. The outrage and general uprising was praised by many as a sign that blatant injustice and discrimination could only go so far before even the persecuted Christian community began to violently resist. To many, those imprisoned had stood up to tyranny and injustice. Their release signified the vindication of their actions. Zinda: The following article is a report of the Kurdish Regional Government published prior to the meeting of the Iraqi officials in Brussels this week. Zinda Magazine has confirmed via sources in Baghdad and Mosul that none of the assertions made on behalf of the Assyrians is true and the information presented herein is a KRG propaganda message meant to influence the attendees at the Brussels conference. 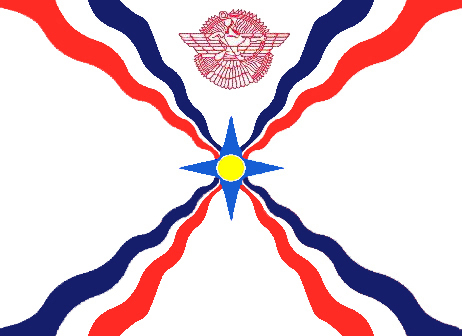 Assyrians officials in London and Baghdad continue to lobby the British and Australian parliaments for the recognition of an autonomous administrative region in th Mosul or Nineveh Plains where the political and cultural rights of the Assyrians (known also as Chaldeans and Syriacs) are protected, both constituionally and internationally. (ZNDA: London) During a debate in the House of Commons on Tuesday 21 June, one day prior to the EU Iraq conference in Brussels, Edward Leigh MP asked the Rt. Hon. Jack Straw, UK Foreign Secretary if the Government will press for new elections to be held in the Chaldo-Assyrian areas of Iraq and for the establishment of an autonomous region for the Chaldo-Assyrians in northern Iraq. Mr. Straw responded that “All sections of the community—the majority Shi'a, the Kurds and the Sunni—understand that if they are to maintain their aim of keeping Iraq together, albeit within some sort of federal structure, the constitutional arrangements have to be acceptable to all three communities. Although it will be difficult getting there, I believe that that will be achieved”. Regarding the question of autonomy, Dr. Kim Howells, Minister for the Middle East responded “The Chaldo-Assyrians in northern Iraq rejected the idea of such an autonomous administrative region as they fear that it would make their community more, not less, vulnerable to attack”. The central issue dates back to the January elections and allegations that 150,000 Chaldo-Assyrians, who are of the Christian faith, were prevented from voting. The failure of voting in certain areas was due to the fact the Independent Electoral Commission of Iraq (IECI) did not deliver sufficient ballot papers. The estimated 150,000 people affected were not only Chaldo-Assyrians but included huge numbers of Kurds and people from other groups. The full quote referred to by Mr Connarty in His Excellency Masoud Barzani’s inaugural speech reads: "Turkomen and Chaldo-Assyrians are our respected brothers and sisters, and we will do whatever is within our capability and authority for the sake of their well-being. We all live together on this land. Our destiny, our joys and sorrows, are common. We consider ourselves their advocates and defenders of their rights." In the January 30 elections, three Christian political groups joined the Kurdistan Alliance List; Assyrian Patriotic Party, Chaldean Democratic Union and Bet Nahrain Democratic Party. As a result of this inclusion in the Kurdistan coalition, Christian candidates managed to enter into the Iraq Transitional Assembly. In the areas under Kurdistan Regional Government (KRG) administration, three ministers are of Chaldean or Assyrian origin; Sarkis Aghajan Mamendu, Deputy Prime Minister; Yonan Marqus Hanna Minister of Industry and Energy and Yousif Hanna Yousuf, Minister for Regional Affairs. In 1992, the year Kurdish self rule began, the democratic elections for the Kurdistan National Assembly resulted in five seats being allocated to the Christians of the region. Since 1991 Chaldo-Assyrians have been able to publish newspapers, run television and radio broadcasts in their own language and establish their own political parties. Within the KRG administered area more than 30 Assyrian language schools have been supported by regional government funding and more than 20 Churches have been restored. The regional Government and all the peoples of Kurdistan are now working together to secure a better future based on shared values and principles. They are working towards a democratic, pluralistic, secular and federal political system in Iraq, one based on cooperation and consensus. I recently read an article in Zinda entitled “The Hallucination of the so-called Moslem Assyrians”. The title was offensive, and inflammatory, and the contents of the article were full of historical inaccuracies, false assumptions, and the methodology used by the author lacked credibility, creativity and vision. I consider Mr. Fred Aprim to be my brother in oumta Ashoureta, even when his political views are not the same as mine. I therefore, will ask him to forgive me if I do not agree with his thesis. I preface my remarks by stating that I spent the last twenty years of my life studying religions of the world. Without going into any details about the nuances of each religion and the differences between them, I can tell you that I find all of them equally fascinating and after a long search for the truth, I found that they are all the same in their message, and all are rooted in the ancient Assyrian belief system. I take pride in living my life according to the teachings of our Lord Jesus Christ, who shined his light in my soul and showed me the true meaning of love, devotion, and respect for all God’s children, (irrespective of their religious beliefs) the day I accepted him as my Lord and savior. I taught my son that Jesus came to fulfill the promise of God to all his children, no matter what race, color, religion, or ethnicity. God’s promise is that he created us equal in his eyes, and that he loves each one of us unconditionally, no matter what we are or who we are. Jesus is the love of God personified in the physical as well as the spiritual form. Jesus came precisely because of all the prejudice, hatred, and bigotry that dominated the world. He came to teach us what love and truth really is, and that is why he said “I am the way”. He didn’t say that because he wanted us to believe that only Christians will be loved by God, or go to heaven if they are kind, humble, loving, and charitable. He meant that he represents the traits and qualities he demonstrated, and it is precisely these qualities, that bind us to God. Jesus also said, “If you believe in me, then you believe in the father, for I and the father are one.” Meaning they are both love, and therefore whoever believes in love is a righteous person, and will do kind and loving deeds, and contribute to the overall well-being of the world we live in, because they will see all people as one. Jesus never asked any of us to form a religion called Christianity. He simply said: “Follow me and I will make you fishers of men”, that it is simply not enough to be rich, famous, successful, etc. but that we need to spread the message of love to all men, wherever they are, whoever they are. Jesus sat with the thieves, prostitutes, and lepers and it was through the power of his love that he was able to heal and perform miracles. Christians do not have exclusivity on Christ. Christ belongs to all mankind, even the people one might hate the most. Ultimately, it is those that we hate the most and are prejudiced against, that benefit from the love of Jesus. It is Jesus who sits next to a homosexual man who is dying alone of aids because he is condemned by society, and shunned by his parents, siblings, and friends for being an embarrassment and a sexual “deviant”. It is Jesus who opens his arms to the pervert that has committed the most vile act against innocent children. It is Jesus who stretches his arms to a prostitute who did not know how to feed her children any other way. We are not capable of doing such things until we understand what love is, and how it came to us in the form of Jesus. Until then, we will continue to be bigots, hateful, prejudiced, and violent. All religions are man-made, not God made. God loves all his children, whether they are Christian, Muslim, Jewish or Hindu, and yes, even atheist. Even those of us who do not understand the love of God can easily understand that a good Muslim who is kind, loving, tolerant, and merciful will have a place with God much more than a Christian who is hateful, bigoted, violent, and prejudiced. If the people of Mesopotamia were all one, as Genesis tells us, then Assyrians of today are Moslems, Christians, and Jews. This fact alone renders Aprim’s theories irrelevant. However, let us consider some of his statements for the reader’s sake. These are just some small examples of how blanket statements that all Muslims are fanatic or bad, or hateful are absurd. The same as I cannot say all Christians are bad when I attend church on Sundays and see some of the biggest liers, cheats, and bigots worshipping Jesus. Lastly, Aprim’s statement predicts that a Christian and a Muslim Assyrian can never co-exist peacefully, not now, and not in the future. If that is the case, then humanity’s struggle for peace is but an empty dream, and there is no hope for mankind. Most educated and spiritual beings endeavor to live peacefully side by side, and Assyrians are no exception. If we look at the prophet Isaiah’s statement, “there will be a highway between Egypt, Assyria, and Israel” one can easily understand that the three main religions of the world, (Christianity, Islam, and Judaism) will one day co-exist peacefully. The Bible tells us these people were at one time “one people” and I believe the Bible simply because I can easily understand from reading history and religious books, that it was an Assyrian who started Egypt, (a man by the name of Maneshe.) It was an Assyrian who started Israel, a man named Abraham, (Ur A HEEM-meaning “the Man, of the God of Ur”.) If the people were one, then we can be one again with minimal effort. In other words, if we are willing to set our false pride and prejudice aside, we can be one, just as God sees us as one from up above. These concepts have nothing to do with being “ultra liberal.” or “liberal nationalism”. They have to do with doing the right thing and being godly, or goodly. The second paragraph of Aprim’s article states, “It would be much easier and less troublesome to marginalize and undermine the “Christian” Assyrians by their fellow so-claimed Moslem Assyrians. Instead of having Arab or Kurd Moslems for example, committing the oppression and persecution”. If Assyria is a secular state, and there are Moslems Assyrians, Jewish Assyrians, and Christian Assyrians living in Assyria, the chances of an Assyrian slaughtering, marginalizing, and oppressing another Assyrian would be minimal if the degree of separation between them is smaller than it is now. In his article, Aprim further maintains that, “Being a Moslem is to have a culture based on the teachings of early Arab Moslem figures that follow strict Arab and Moslem culture. This culture was alien to north of Iraq; it came from the Arabian Peninsula”. Again, Aprim assumes that only Arabs are Moslems. When I was in India and Pakistan I did not meet a single Muslim practicing the Arabian culture. They dressed in their native costumes, cooked their native food, and spoke their native tongue. I saw the same thing in Indonesian households. Additionally, to state that the Arabian culture was foreign to northern Iraq is to deny the fact that the Arabian culture was established on the foundation of the Assyrian roots, and therefore how could it have been alien to the Assyrians of northern Iraq? These are just some of the contradictions Aprim has not addressed in his article. Aprim postulates, “the fact on the ground in Iraq remains that Assyrians are all Christians, again with the exception of atheists here and there. If there are so-called Moslem Assyrians, where are they and have they publicly professed to their Assyrian belief and defend it? The answer is no.” Aprim neglects to remind himself and the reader that in Iraq today, there are millions of educated Iraqis who are calling for a secular government. Just ask the Reverend Kenneth Joseph. They are the people that tried to protect the Assyrian artifacts with their lives during the war and the looting campaigns, realizing these pieces of antiquity represent not only their own heritage and history, but the origins of the entire world. Aprim assumes that if a Moslem is not standing in front of a mosque yelling and screaming “I am an Assyrian” then he is not publicly professing to be one. There are certain subtleties his thesis is missing, such as the Assyrian architecture visible all over Iraq, the names of institutions, hotels and theme parks that are Assyrian names, the recent move by the Shiaa to call southern Iraq, Sumer, (an ancient Assyrian city.) What about all the writers and educators who were jailed and some even killed who worked in opposition to Saddam’s Arabization policies and wrote books, articles and poetry memorializing the glorious Assyrian past of Iraq? Even today, Muslim Arabs call Assyria Sat and profess their origins to be Assyrian and publicly defend the Assyrian claim to northern Iraq, much more so than some of the so-called Assyrian leadership. Aprim maintains “these claims are simply not possible to materialize in the Arab Moslem world. 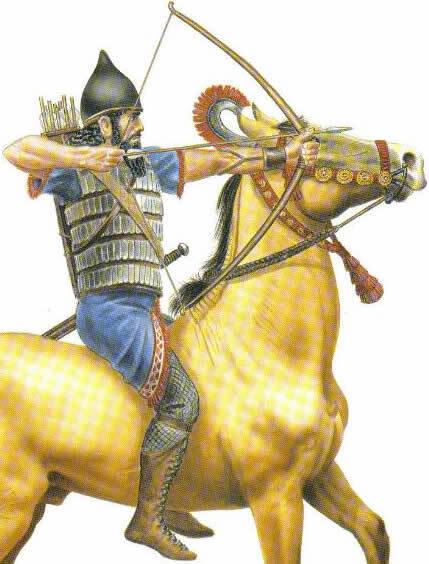 Fact is that Arab Moslems would not claim being Assyrians without facing an uproar and perhaps persecution from fellow countrymen.” I would like to remind Aprim that many Muslim Arabs have already publicly professed that everyone living in Iraq is Assyrian, and there have been no uproars or persecutions whatsoever. No one in Iraq can deny their Assyrian origins. How could they? They might as well claim they are all Martians. Aprim’s proclamation that “we can safely assume that we cannot have Christian Assyrians and so-called Moslem Assyrians in any healthy society at present or the near future” negates the two thousand year history of Muslim, Jews, and Christians living in Iraq peacefully side by side, before political motivations decimated this relationship. If it were not for British Imperialism encouraging the Iraqi army to massacre Assyrians in 1933 to keep Iraq in tact and under the tight grip of England, Christian, Muslim, and Jewish Assyrians would have lived side by side in peace for another two thousand years. If certain political Iraqi figures were not politically motivated to oust the Jews out of Iraq in the 1940’s, we would still have Christian, Jewish, and Muslim living in harmony in Iraq. To make blanket statements as Aprim has throughout his article, is to ignore the fact that there are millions of Assyrians throughout the world that have practiced different kinds of religions through the centuries, and they have all lived peacefully, side by side. It also invalidates the good relationships Assyrians have with their Jewish and Moslem brothers today. Aprim’s premise of religion binding you to a certain nationality is false, historically and scientifically. If that were the case we would not have Shiaa and Sunni Muslim Arabs. We would not have the Chaldeans denying their Assyrian heritage. We would not have Eastern European Jews, Russian Jews, Bosnian Muslims, Chinese Christians, and Persian Christians. Aprim seems to chastise those Assyrians who believe there are Moslem Assyrians, Jewish Assyrians, etc. He in fact, uses such labels as “ultra liberal” or “liberal nationalistic thoughts” to describe those progressive Assyrians who see Assyria as diverse as any nation out there. Only political or religious fanatics use labels like these to describe people with progressive ideas, in the hopes of minimizing their influence on others, marginalizing them from mainstream Assyrian society, and rendering them powerless and ineffective in changing the Assyrian extremists. Answer- The fundamentalist Moslem Assyrians are already doing this in Iraq. They want to enforce Islamic laws on all Iraqi society, not just the Christians. The mainstream Iraqi citizens are calling for a secular society because they do not want another Iran. Imagine if Assyria, or present day Iraq, had a secular government and the Iraqi parliament was not formed on the basis of how many religious seats were allotted to the Shiaa, the Sunni, the Christians. We would have a pluralistic Iraq, and our homeland today would not be chopped up into pieces, and the Kurdish claim to our homeland would be null. Answer-If Assyria, or present day Iraq was a secular government comprised of all Assyrians, regardless of their religious beliefs, we would not have the on-going debate of who is to have more seats in the Iraqi government, and who will be treated as a second-class citizen. They would all be equal in the eyes of the law. Additionally, if Assyrian Christians did not isolate themselves from the rest of society, and made themselves a target, there would be no emphasis placed on the differences between an Assyrian Muslim and an Assyrian Christian, and both would support each other to rebuild Iraq and form a new society, where all people in Iraq were one. This would considerably reduce religious intolerance and perhaps even eliminate the barriers facing Christian Assyrians of Iraq. Answer: When you open up a society and openly accept a Moslem Assyrian, or a Jewish Assyrian, you automatically defuse a potentially volatile situation, where religion is a motivation for discriminatory practices. This is how every democratic society functions. In fact, the kind of democracy Iraq is trying to practice in the new government is no different that what Iraq had under Saddam and his predecessors. Every Christian was bound to the Sharaia law precisely for the same reason they are now bound. When you have Moslem Assyrians, Jewish Assyrians, and Christian Assyrians in a society, you essentially have a Sharaia law that is ineffective. Who will enforce this law on an Assyrian, if Assyria is made of Moslems, Jews, and Christians? The same would be true in a court of law. Who will judge an Assyrian testimony according to Sharaia law if Assyria is Muslim, Christian, and Jewish? In fact, religious affiliation will be a moot point in a pluralistic society. The West is proof of that. Answer-A secular Assyria where Christian Assyrians, Muslim Assyrians, and Jewish Assyrians are equal before the law would provide more room for an Assyrian Christian to rule than now. No one would question an Assyrian’s religious affiliation or motive, or prejudicial views. Aprim claims, “Assyrian Christians will be forced to read the Koran in Arabic.” Don’t they already? What about the Chaldean Assyrians and the Suryan Assyrians reading the Bible in Arabic? Does that automatically make them Muslims, or Christian Arabs? In fact, if Assyria is made of Muslim Assyrians, Christian Assyrians, and Jewish Assyrians, not only will all three religions be equal in the eyes of the law, but the Assyrian language will more likely be one of the official languages taught and used in Iraq. Aprim admits that many of the issues he raises in his article already exist, but insists that “today Assyrian Christians accept the reality on the ground because they are different.” How Assyrian Christians are different than Assyrian Muslims or Assyrian Jews for that matter, Aprim doesn’t tell us. He goes on to say “However, it would be very hard to swallow when an Assyrian Moslem treats Assyrian Christian non-equally.” In a pluralistic society, the odds of an Assyrian Moslem treating an Assyrian Christian or Jew equally are much better than the current odds. The separation and division of religions fuels the hostility between the people’s of the world. Historians have pointed out that the twentieth Century was the bloodiest century in the history of mankind. Religious wars dominated the century, starting with the Turks trying to annihilate the Christian Assyrians and the Armenians, with the help of some Kurds. In 1933, the Iraqi army slaughtered thousands of Christian Assyrians in Simmel. Hitler tried to bake every Jew in Europe and if that wasn’t enough, he went to the Middle East to make sure he got all of them. America went to Korea and Vietnam to contain Communism, or the “Atheist revolution”. After all this, we still have not learned what it takes to love, tolerate, and respect one another. Even today, the Christian Assyrians call their Muslim counterparts “inferior” because some Muslims do not accept Christ as their savior. For not believing in Muhammed as their savior, the Muslims in turn call the Christian Assyrians “infidels.” The Jews are caught in between, not believing in either. It will take another two centuries perhaps to get these people to believe in each other and respect one another, if we do not at the least start today, and begin with Assyria. 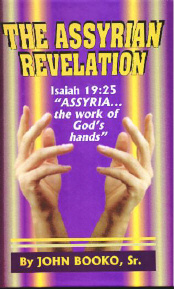 Assyria was the gate of God, and it can be that gateway again. If Assyria is the race of man, then the heart of man is Assyrian, no matter who they are, where they are, and what they believe. If today’s Iraq is Assyria, then whoever lives there is an Assyrian, and therefore, Kurds, Arabs, Armenians, Turkoman, Mandeans, Sabbeans, Yezidis, Chaldeans, and Suryans are all ASSYRIANS. The world's oldest monastery has plans to use hi-tech cameras to shed light on ancient Christian texts preserved for centuries within its fortress walls in the Sinai desert. Saint Catherine's Monastery hopes the technology will allow a fuller understanding of some of the world's earliest Christian texts, including pages from the Codex Sinaiticus - the oldest surviving bible in the world. 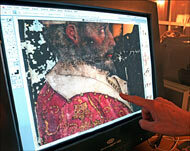 The technique, known as hyper-spectral imaging, will use a camera to photograph the parchments at different wavelengths of light, highlighting faded texts obscured by time and later over writings. It should allow scholars to understand corrections made to pages of the Greek Codex Sinaiticus, written between CE 330 and 350 and thought to be one of 50 copies of the scriptures commissioned by Roman emperor Constantine. "If you look at all the corrections made by each scribe then you can come out with a principle on which he was correcting the text," said monastery librarian Father Justin. In a joint project with the monastery, libraries in Britain, Germany and Russia, which together hold the bulk of the manuscript, will also scan pages and fragments of the text to digitally reunite the work in a facsimile. 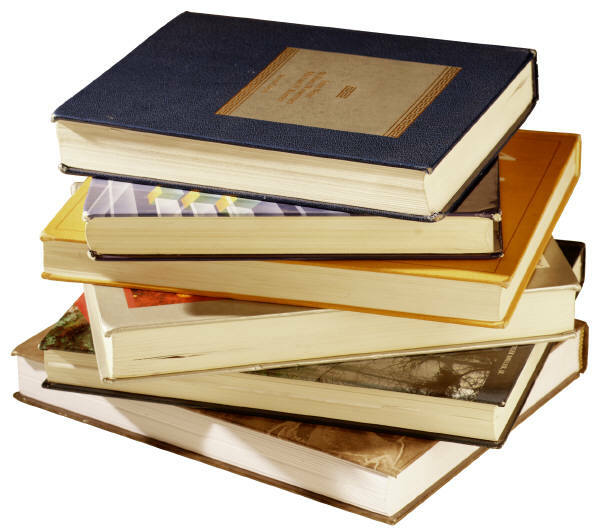 The project will involve libraries in Britain, Germany and Russia. The monastery had kept the Codex Sinaiticus until the mid-19th century, when the bulk of it was taken to Russia by a German scholar and never returned. Russia sold those pages in 1933 to the British Library, where they are still kept. The monks thought they had lost the entire manuscript to Europe until 1975, when they discovered 12 of its pages and 15 fragments in a forgotten chamber, buried under a collapsed ceiling with thousands of other parchment leaves and fragments. The monastery, which has never lost hope the manuscript may be returned, has agreed to take part in the project on condition it includes a modern history of the Codex. 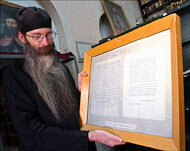 The Greek Orthodox monks keep a framed copy of a note left by the German scholar promising to return the manuscript. 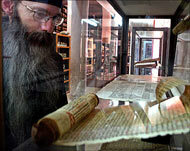 Unpublished documents in Russian archives could shed light on the circumstances in which the text left the monastery. Russia might have a document showing the monks sold or donated the Codex. But questions would remain on whether any such document was obtained under duress, Father Justin said. "If they find such a document, maybe in their archives, then we must accept it. If not, we have rights. But even if there is such a document, how was it obtained?" Saint Catherine's Archbishop Damianos asked. The monastery wants to build a new library for the collection. Pages of the Codex Sinaiticus in Britain and Germany are in good enough condition to be photographed straightaway, but those in the monastery need restoration to ready them for the process. "Some of them are crumpled in the state they were found in and they need to be opened up," said book historian Nicholas Pickwoad, an adviser to the monastery's conservation project. The monastery plans to build a conservation workshop to treat the Codex and other works in its collection of 3304 manuscripts and 1700 scrolls, which make up the biggest collection of early Christian texts outside the Vatican. It will also build a new library to house the collection, preserved by the monastery's remote location, a dry desert climate and the care of the monks. "There is nothing else quite like this collection. It doesn't compare," Pickwoad said. Hyper-spectral imaging will be used to read another one of the monastery's most significant manuscripts - the Codex Syriacus. The technology should allow scholars to read the faint remnants of a washed-out 5th-century text that lie underneath visible 8th-century writing. The underlying text in Syriac is a copy of a second century translation of the New Testament gospels. In the late 19th century, scholars applied chemicals to the manuscript that briefly made the underlying text visible but made the parchment more brittle. "It's almost certain that the whole text has not been extracted yet," Pickwoad said. Photographing the rippled parchment may involve using up to "four cameras taking images from different angles and then knitting the image together, electronically pulling it flat because we may not be able to pull it flat physically," he said. The technology could also be applied to read the faint traces of a script in a language only ever seen before carved in a few stone inscriptions. It lies in the pages of a Georgian manuscript dating to the 8th or 9th century. Father Justin, who is from Texas in the United States, has started digitising some of the monastery's better preserved manuscripts, using a camera that can take extremely high resolution photographs. "When I came to Sinai, I came to live in the desert. I didn't know I'd be doing computer photography and going to London four times a year," he said. 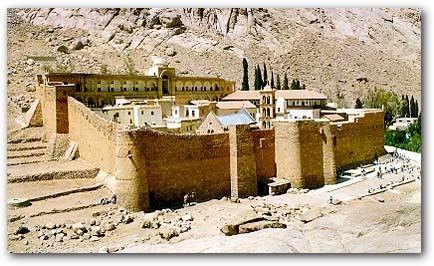 The monastery aims to have 100 manuscripts photographed and accessible through a website by mid-2006. "Even though it's only 100 out of 3000, it will be an important scholarly resource," he added. Book historians are cataloguing the condition of the manuscripts and the physical features of their bindings, half of which are original. "The evidence of where a manuscript has been and where it has come from to get here is often in the binding," Pickwoad said. Conservators are even keeping the dust they brush from the manuscripts for traces of pollen or seeds that may yield evidence on how texts in languages including Persian, Amharic (a language found in Ethiopia) and Hebrew made it to the middle of the Sinai desert.